A question often asked of HIA is I am about to undertake a renovation and I need some information on the different flooring available. Can you please help? There are many flooring systems available on the market and your final choice will most likely depend on a great many factors, including durability, cost and aesthetic appeal. Polished timber floors have long been popular, although some experts are saying the recent moves to five-star energy regulations throws a shadow over their installation in new homes. For those who want the timber effect, but for a variety of reasons find wooden boards unsuitable, there is now a wide range of engineered and laminate timber floors. Engineered flooring comes in most of the usual hardwoods and has the advantage of being able to be laid over existing flooring. A professional installer can have a medium-sized room ready for occupation in a day. Laminate is usually less expensive; there are a multitude of choices with the end result being both attractive and hard wearing. It can have the appearance of hardwood or stone, while being easy to clean and highly resistant to water or stains. Man-made stone tiles using full-bodied porcelain are stain, salt and chlorine resistant and require no sealing. They are also considerably cheaper than the genuine article. Large tiles have the ability to make a room seem larger, with the fewer grout marks creating a feeling of space. In the past tiles were a concern for older Australians who feared they might slip and fall on their often shiny surfaces. Manufactures have responded by producing slip-resistant tiles for both inside and outside installation in either matt or polished finishes. 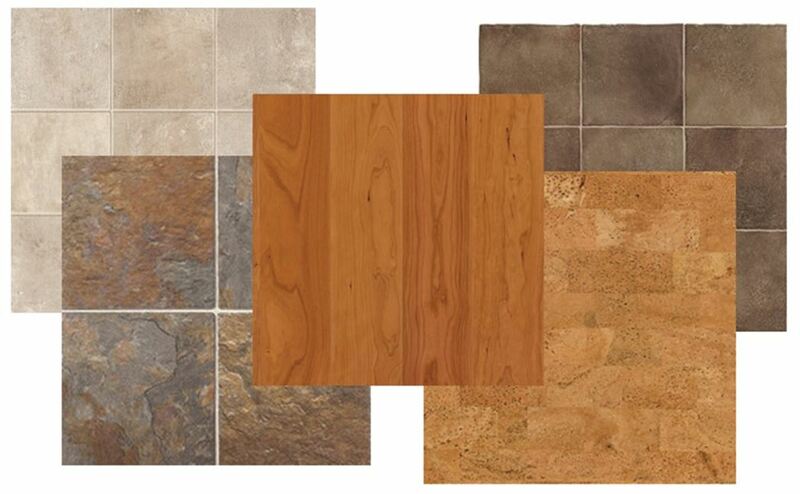 These examples are just a few of the range of flooring possibilities now available.